Shadohz changed some attributes to Cheater's Pad: Name changed to 'Cheater's Pad'. ; Summary changed. ; Description changed. Shadohz changed some attributes to Cheater's Pad: File 'Cheater's Pad' category changed to Old versions. Shadohz changed some attributes to More Difficult N7 Side Missions: Description changed. Shadohz changed some attributes to More Difficult N7 Side Missions: File 'N7 Missions' category changed to Old versions. Shadohz changed some attributes to More Difficult N7 Side Missions: File 'Mass Horizons-Respawn patch' category changed to Old versions. Shadohz changed some attributes to More Difficult N7 Side Missions: Name changed to 'More Difficult N7 Side Missions'. ; Summary changed. ; Description changed. ; Mod version changed to 1.02.; Category changed to Gameplay Effects and Changes. 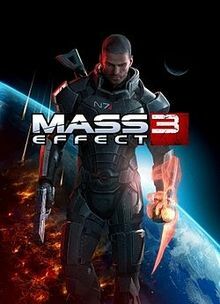 Shadohz changed some attributes to Mass Effect 3 Save Editor: Author changed to 'Rick'. ; Summary changed.